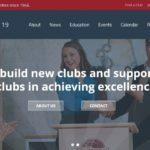 The Public Relations Committee has been hard at work completing the revamped website. To help introduce you to the site they created 2 contests to win prizes. The first contest was a Website Scavenger Hunt. Members were asked to locate items correctly from the new website to familiarize them with the new site. 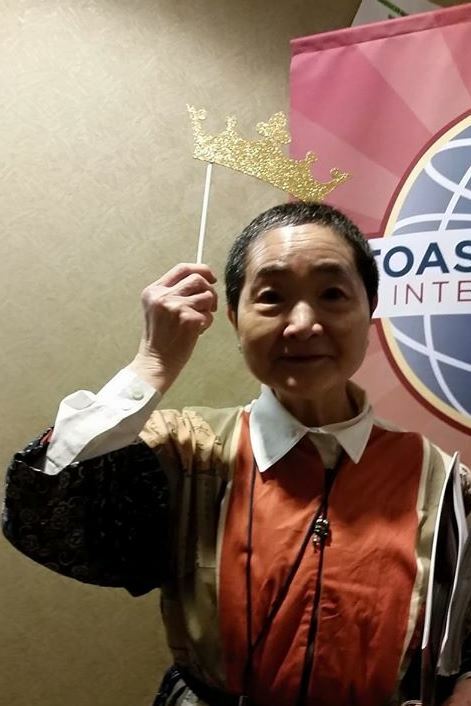 The Toastmasters with a perfect score were then entered into a drawing. 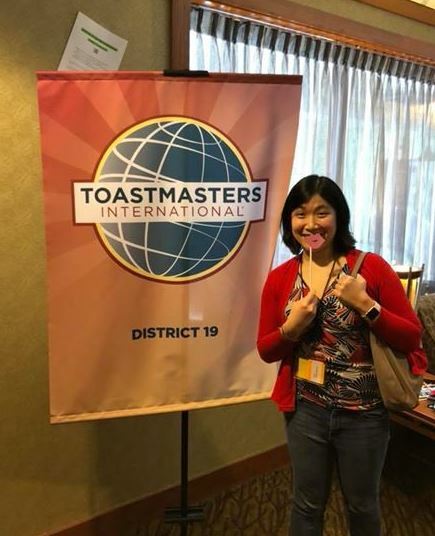 10 winners were randomly drawn to win a Toastmasters Duffle Bag. Congratulations to the 10 Winners of the Website Scavenger Hunt! 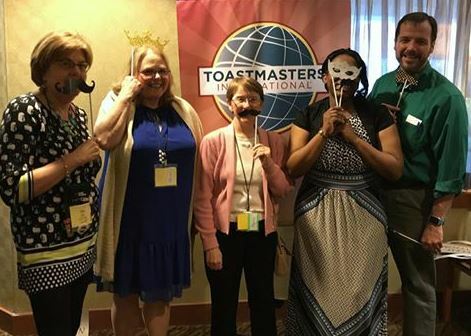 Tony K. Dahlman, Tammy Dunn Peterson, Kayoko Kimura, Russell Doorenbos, Sharon Little, Monique Kuhns, Gretta Bauman, Regina Chan, Tammy Saulnier, and Lauren White! 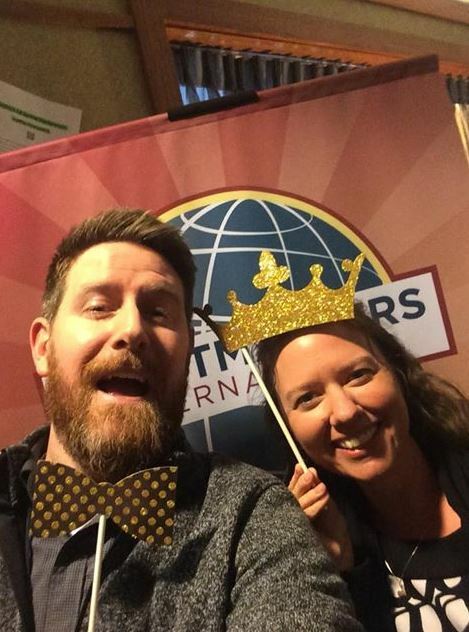 You win a Toastmasters Duffle Bag!! 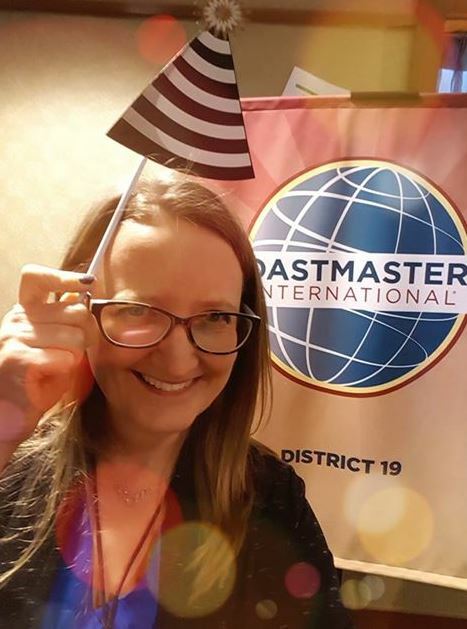 The second contest was the District 19 Spring Conference 2018 Selfie Contest. 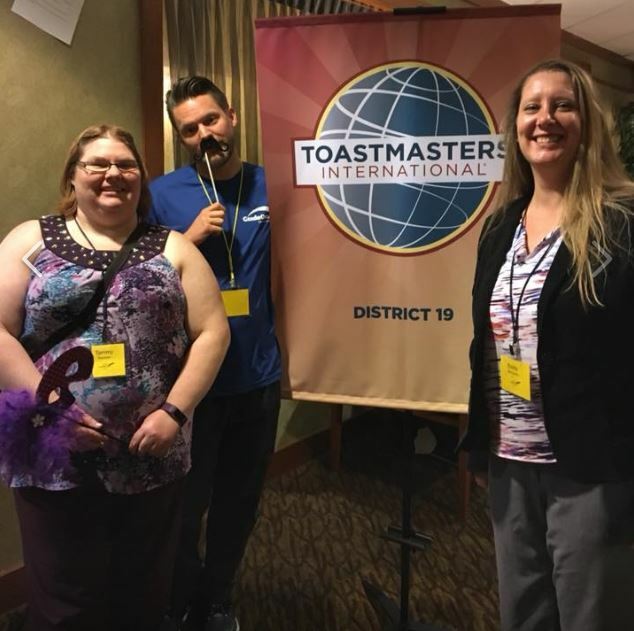 Both individuals and clubs/groups were encouraged to take a selfie at the District 19 Spring Conference in front of the District 19 Banner and post the selfie to the District 19 Facebook page to be entered into a drawing to win a prize. 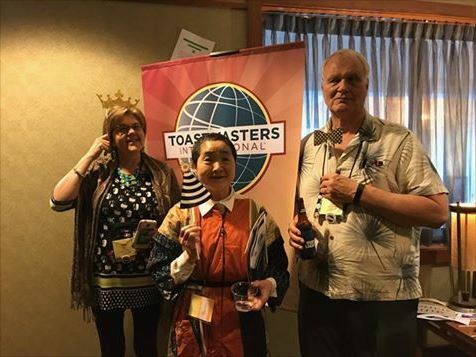 Five clubs were randomly drawn to win a Toastmasters Banner Lectern and five individual selfies were randomly drawn to win a Toastmasters World Map Roller Ball Pen. 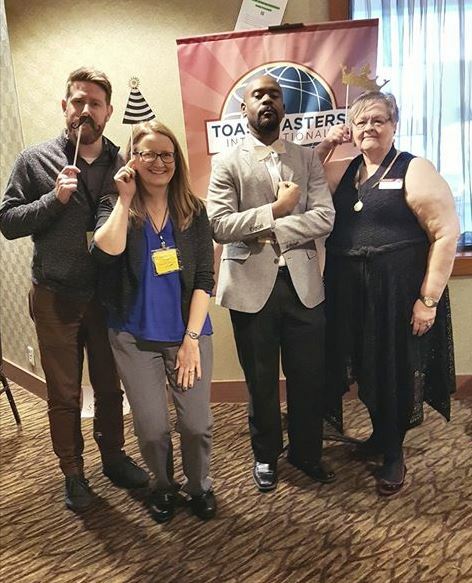 Congratulations to the five clubs that won a Toastmasters Banner Lectern: Crosswinds, Siouxland Cicero’s, Dayton Rd, GuideOne, and Town & College! 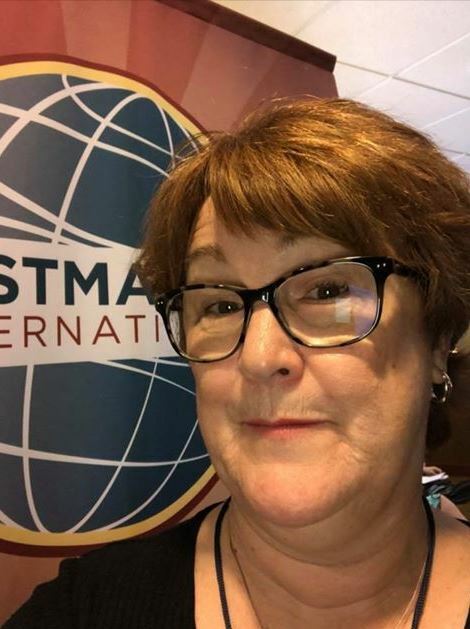 Congratulations to the five individuals who won a Toastmasters World Map Roller Ball Pen: Amanda Martin, Regina Chan, Kayoko Kimura, Melissa Niesen, and Marilyn McConley Boyles! Thank you all for your participation in the contests! You made this Spring Conference one to remember! For any feedback or questions regarding the new website please email the PRM at prmdistrict19@gmail.com. Previous Post CONGRATULATIONS to the New TRIO! 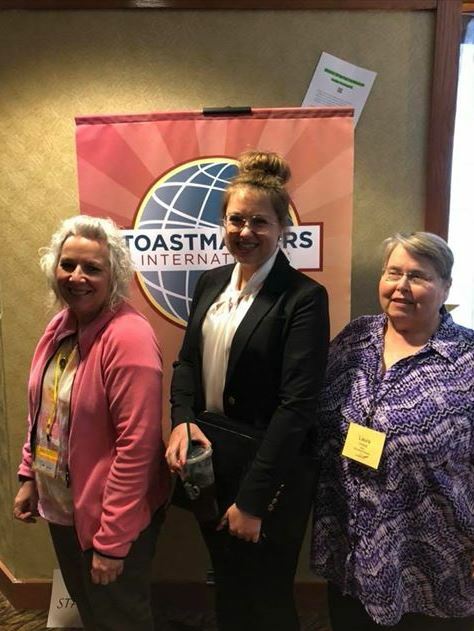 Next Post Who were the BIG winners at the District 19 Spring Conference 2018?